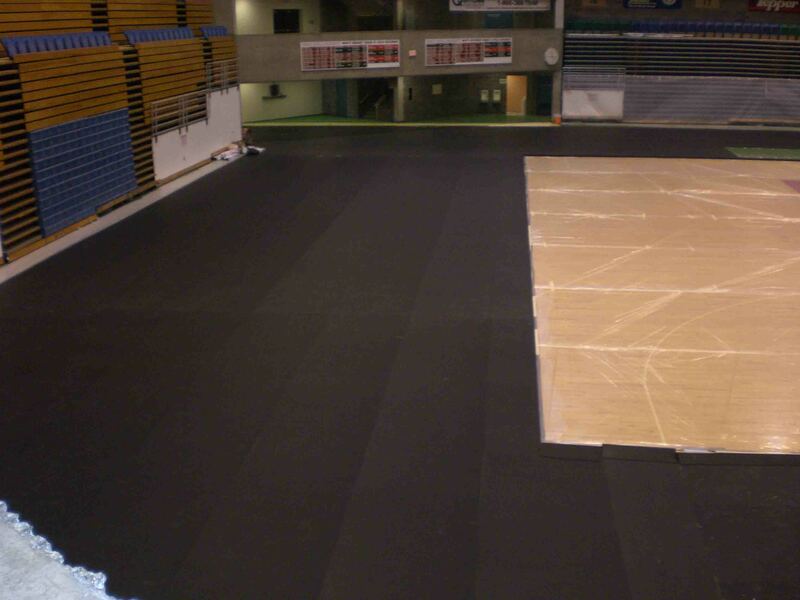 Synthetic Rubber Athletic Floors are Easy to Maintain & Highly Durable. Ask Us about DynaForce® Today! 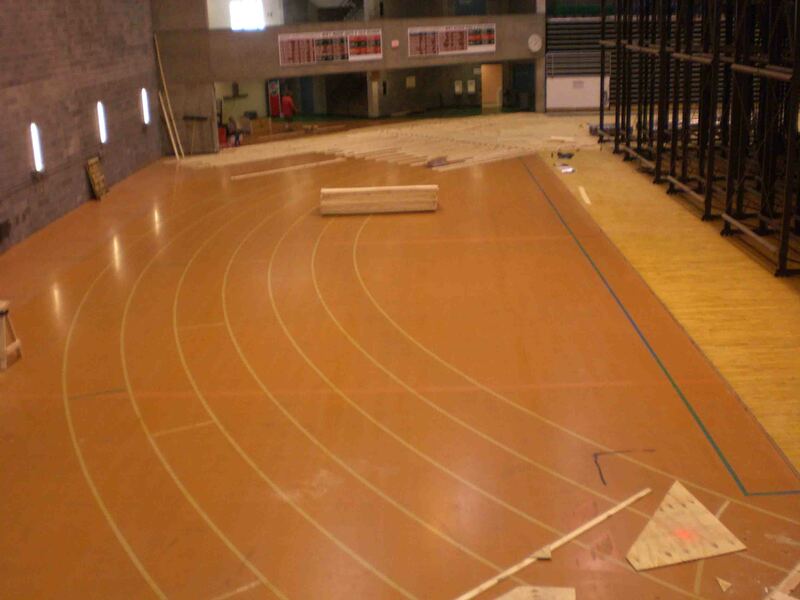 Athletic rubber flooring installed by Dynamic Sports Construction, Inc., a leading supplier of rubber gym flooring and performance athletic flooring products, can be used in a multitude of applications. Our DynaForce® polyurethane is a state-of-the-art athletic fitness flooring system used in all types of recreation and sports arenas. 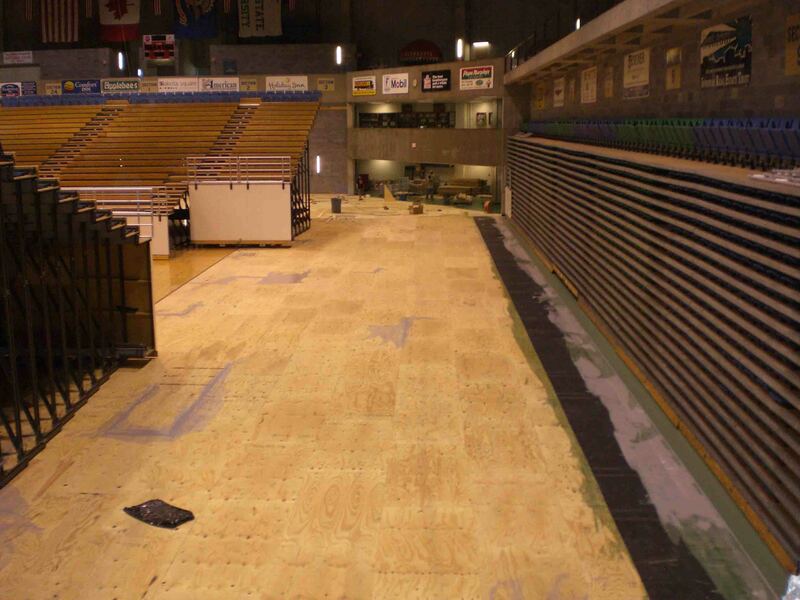 As the premier national contractor of indoor synthetic multi sport flooring, Dynamic Sports Construction installs the DynaForce® pad and pours polyurethane floors in facilities as small as a weight room or as large as a high school field house with suspended tracks or college sports arenas. DynaForce’s® unique flooring construction practices utilize a pre-manufactured rubber base mat and a resilient poured polyurethane wear layer that offers athletes an extremely resilient playing surface. 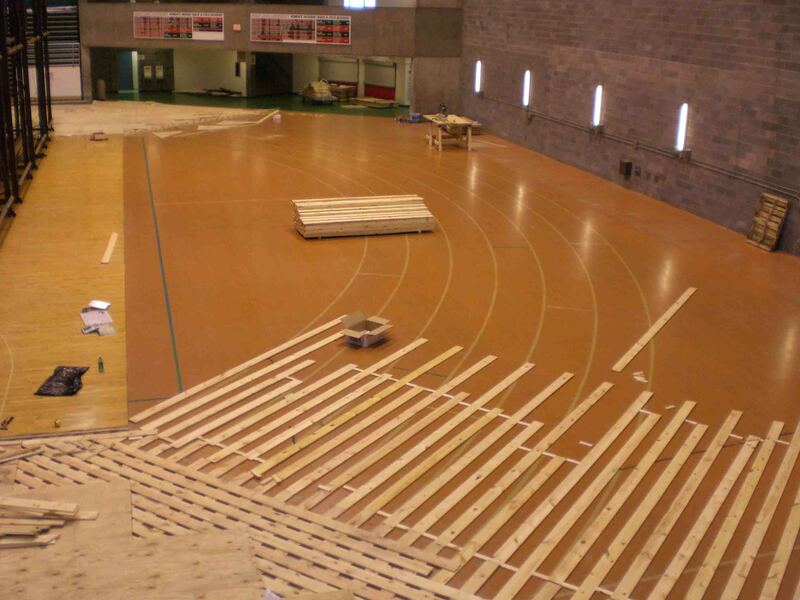 DynaForce® is the ideal flooring option for use in areas where bleachers, lunchroom or banquet tables and chairs will be used. Churches all over the country have made DynaForce® their preferred choice for family life centers, particularly when services will also be conducted in their sports facility. 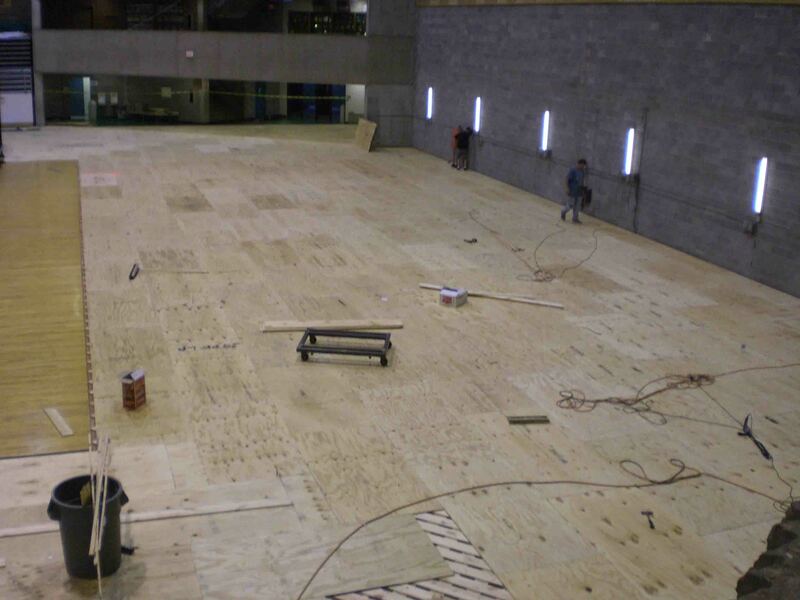 Dynamic Sports Construction, Inc. offers the highest performance flooring options in the industry. 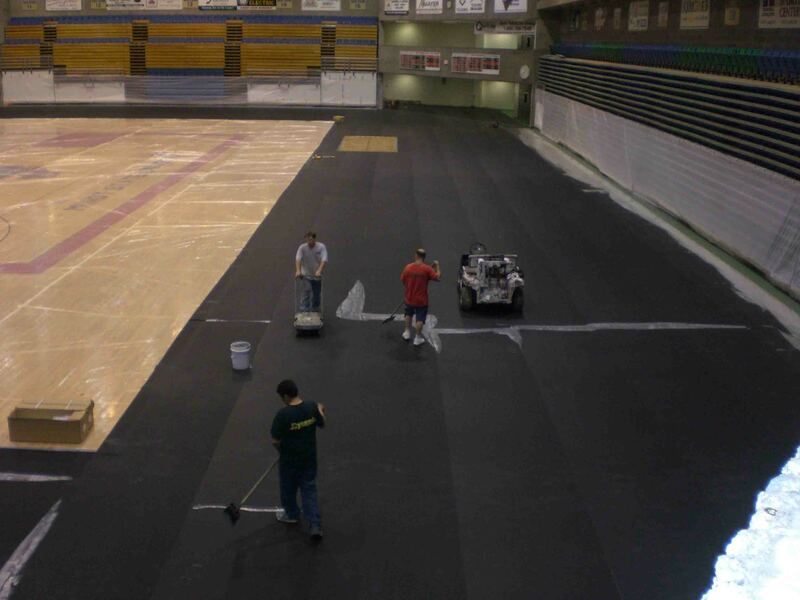 You can count on us to serve as a skilled and experienced partner on your synthetic sports flooring project from start to finish. 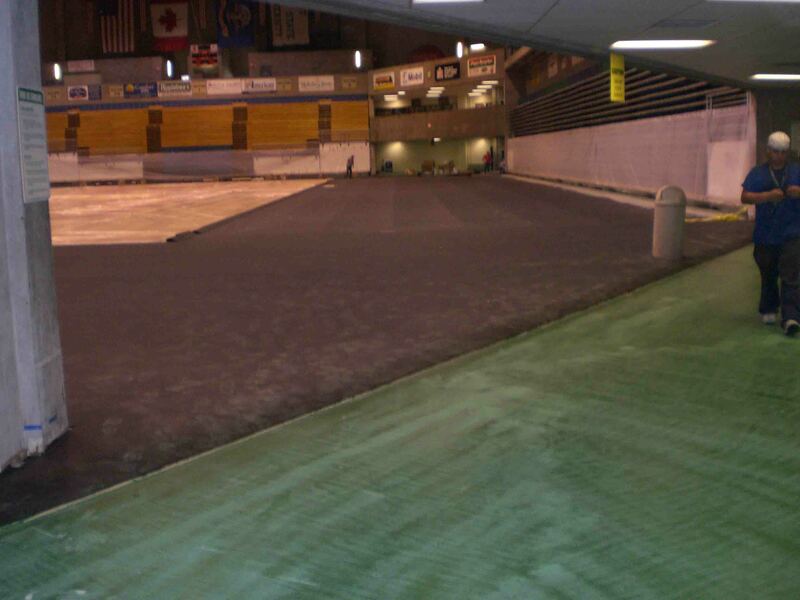 As a full-service contractor we can aid in all aspects of your sports facility’s flooring construction project. 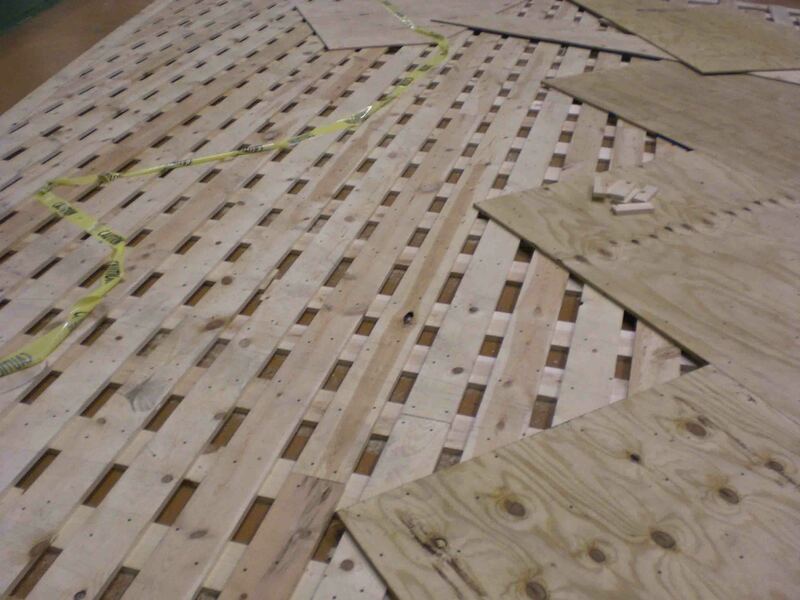 From providing specifications during the pre-planning and planning stages, to preparation, leveling and the damp-proofing of your concrete slab, our company’s expert team of flooring installation specialists can ensure that the right system is designed and installed to not only meet but also exceed your needs.